The majority of teachers are first registered with provisional registration. It is a condition of your provisional registration that you will move to (full) registration as soon as possible. shared evidence with an evaluator to demonstrate meeting the Proficient level in each of the 7 Australian Professional Standards for Teachers. This must include observations of your teaching practice. You will then need to complete an Application to Transition from Provisional to (full) Registration and submit this to the Board. It is your responsibility as the provisionally registered teacher to initiate this process with an appropriate evaluator and ensure your completed application is submitted to the Board. Why do I need to transition to (full) registration? The Teachers Registration and Standards Act 2004 (the Act) anticipates that teachers will not remain on provisional registration permanently, and it is a condition that all provisionally registered teachers acquire the necessary experience to become eligible for (full) registration. 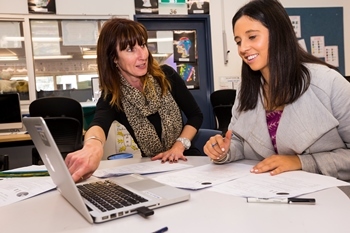 In accordance with the 2011 Ministerial agreements for a nationally consistent approach to teacher registration, a teacher in South Australia can now only be provisionally registered for a maximum of two 3-year terms of registration. During this time they must meet the requirements to become eligible for (full) registration. Please refer to the Transition from Provisional to (full) Registration Policy for more information. Moving to (full) registration is a continuum of professional growth for a teacher as they transition from the Graduate level of the Australian Professional Standards for Teachers to the Proficient career stage.